The University of Washington with Mount Rainier in the background, as seen from the top of the UW Press office building. Photo credit Jeff Dietz. The Press traces its origins to 1915, when Edmond Meany’s Governors of Washington, Territorial and State was issued. The first book to bear the University of Washington Press imprint, an edition of The Poems of Henry Howard, Earl of Surrey edited by Frederick M. Padelford, appeared in 1920. Since that time the Press has published approximately 4,400 books, of which about 1,400 are currently in print. Today we publish about seventy new titles each year. From the beginning the Press has reflected the University’s major academic strengths. 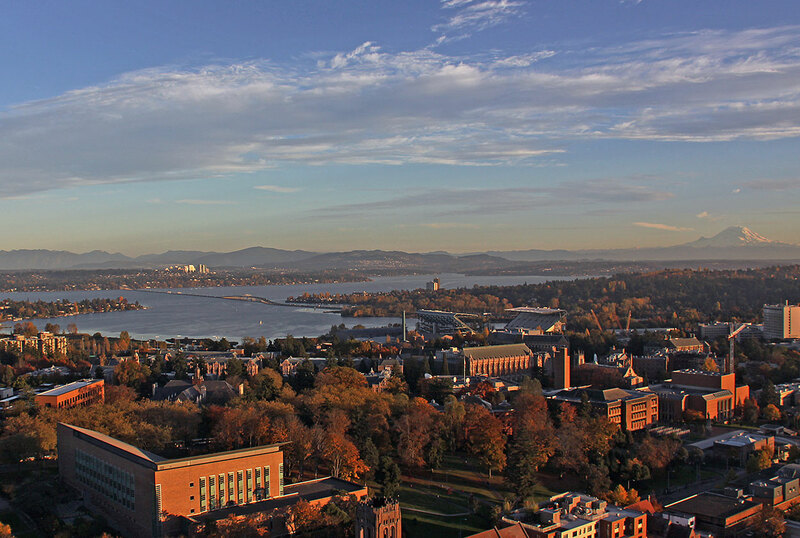 Building on those strengths, combined with a vigorous creativity in developing regional partners, the University of Washington Press has achieved recognition as the leading publisher of scholarly books and distinguished works of regional nonfiction in the Pacific Northwest.